Afternoon of February 23rd, Director General of Ministry of Industry and Information Technology Offices Servicing Bureau Fu Jingbo, Director of Electronic Information Technology Research Center Ruan Xilun and other members, total 4 persons, accompanied by Director General of Jining Economic and Information Technology Commission Zhou Guangquan, Investigator Wang Youbing, Director of Hi-tech Zone Economic Development Administration Bureau Meng Fanzhang, Director of Hi-tech Zone Information Industry Office Xu Yanfu, Associate Dean of Jining Ceprei Industry Information Technology Institute Yu Kun and other leaders, visited China Transport Group for investigating in the developing condition of the enterprises e-commerce business,intelligent terminal manufacturing and integration of informatization and industrialization(IOII). Qu Qing, chairman and managing director of China Transport Group, Han yong, the vice managing director of China Transport Group and deputy general manager Li Zhenbo and Fan Peigong, Sun Shijun and Li Zhaopeng and other Group leaders received visitors. Firstly, General Qu expressed a warm welcome to Leader's visit. 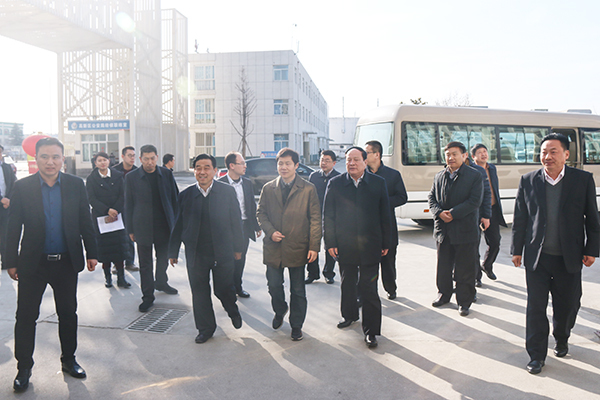 Accompanied by General Qu, the leaders together visited Shandong China Transport Group e-commerce technology building, e-commerce company, cross-border e-commerce company, network information company, software technology company, Weixin agricultural technology company, Carter intelligent robot company. They watched and the live demonstration of high-tech Agricultural plant protection UAV and intelligent robots, which are independently developed by Shandong Carter intelligent robot company of China Transport Group. Director General Fu and Director Ruan gave unanimous praise. Meantime, General Qu gave detailed reports to the visiting leaders on the managing condition of e-commerce business and the six platforms that independently developed by ourselves and focused on our achievement in the five field of information industry, intelligent terminal manufacturing, high-tech agriculture, intelligent logistics, high technology service outsourcing. Through the visit, the leaders highly praised and recognized the outstanding achievements of our Group in intelligent terminal manufacturing and innovation in integration of informatization and industrialization. In recent years, Shandong China Transport Group actively responded to national policies to speed up the development of intelligent terminal industry, and actively promoted industrial restructuring and upgrading. 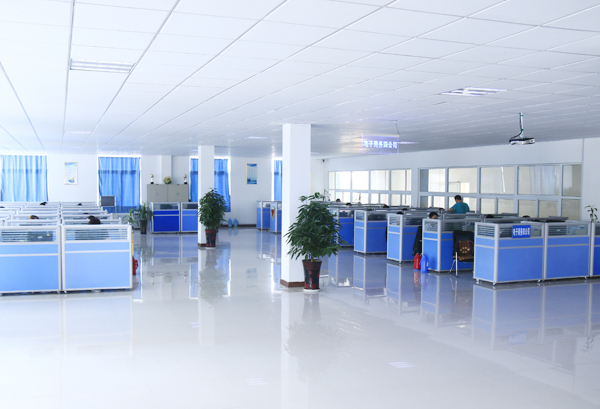 We invested and established China Transport intelligent robot industrial park, through the introduction of foreign advanced robot technology concept, and development of high-end intelligence products that fit for China, has been successfully developed industrial intelligent robot, restaurant service robot, intelligent home robot, entertainment robot, fire robot, high-tech unmanned aerial vehicles, 3D printing equipment, intelligent security equipment and other high-end smart products which greatly driven the rapid development of intelligent terminal industry of the southwest Shandong and Shandong Province. At the same time, our group adhered to the "manufacturing and Internet integration" development strategy, and vigorously developed the industrial supply chain e-commerce, and successfully transformed from the traditional sales model to the modern e-commerce sales model, became the industry model of the country through e-commerce information industry to promote the successful transformation of traditional enterprises, walked in the forefront of the development of the national information industry, and has been named the MIIT e-commerce integrated innovation demonstration enterprises, 2016 annual innovation of China 's IOII, IOII management system in Shandong Province pilot enterprises, Shandong Province e-commerce model enterprises, outstanding enterprises in Shandong Province e-commerce, Jining City IOII demonstration enterprises, and repeatedly by the national and provincial and municipal leaders of the highly praised. My group self-development and operation the first domestic mining machinery industry cross-border B2B e-commerce platform-1kuang.net, filled the domestic and foreign mining machinery industry cross-border e-commerce platform blank, and selected as the MIIT e-commerce integrated innovation pilot project, and as a cross-border e-commerce key support projects by the national MIIT, then promote the national information and industrialization of the depth of integration and made outstanding contributions to the development! Leaders of MIIT pointed, China Transport Group as traditional mining machinery enterprises, but can conducted bold innovation in business model. This is benchmark and example of the traditional enterprise in modernization and transformation ,as well as a national successful model of enterprise transforming and upgrading in integration of informatization and industrialization(IOII). Next step, we should regard China Transport Group Intelligent Robot Industrial Park as the key research base of the integration of informatization and industrialization, promote vigorously her successful practice and experience in transforming to to the whole country. General Qu said, thanks the respectable leaders of MIIT for visiting China Transport Group. This is greatly confirm our achievement and development, also it is the spur and encouragement for our development in next step. In the new year, China Transport Group will positively response to the national policies , make full use of the Group's unique advantages in the innovative developments of IOII, share the industrial company's successful experience in intelligent terminal manufacturing and innovation in integration of informatization and industrialization, play an exemplary and leading role to make more positive contribution for the innovative developments of IOII.